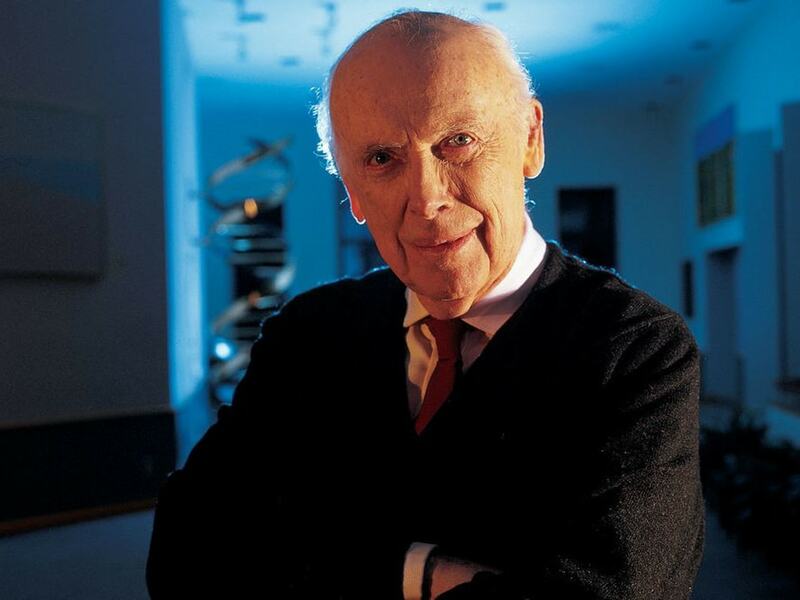 James Watson won a share of the Nobel Prize for medicine and physiology for his role in discovering the double-helix structure of DNA in 1953. Today, he's chancellor emeritus of Cold Spring Harbor Laboratory - and is still stirring up controversy at the age of 85. How can parents avoid passing along the genes for mental illness? 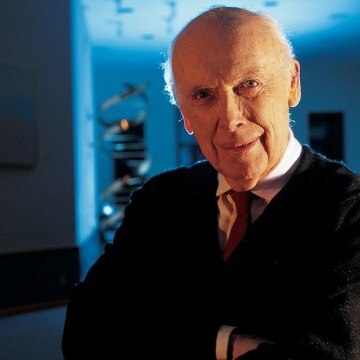 Sixty years after he played a lead role in discovering DNA's double-helix structure, controversial biologist James Watson has run the numbers — and his advice might well spark yet another controversy. Watson says you should have your kids early, before your DNA goes downhill. "If you add together all the mental diseases ... your chance of having a child with something bad is about 5 percent," Watson explained Thursday during the annual "Open Questions in Neuroscience" symposium, presented in Seattle by the Allen Institute for Brain Science. Is that mutation rate for the genetic factors linked to "something bad" — for example, schizophrenia, bipolar disorder, autism or persistent depression — fixed at 5 percent? "The answer is no," Watson said. "The older you are, the more chance you have of carrying these. And it's probably true for men and women as well." So here's Watson's prescription: "You could reduce the frequency of this 5 percent — maybe down to one and a half percent, or 1 percent — if everyone had their children or if the DNA came from them when they were 15," he said. One way to do it would be to collect DNA from males by the age of 15, store that seed, and then "only have children by in vitro" fertilization, Watson said. "The women probably should have their children by not much after 30. Not 40," he added. The way Watson sees it, such measures are worth it to reduce the genetic risks of mental illness, for future generations as well as the parents themselves. "If you really look at it, there's no way your life could be more messed up than by having a child who can't take care of themselves," Watson said. Watson is familiar with the personal cost of mental illness. One of his sons, now in his 40s, has schizophrenia and continues to live with Watson and his wife because "he really can't take care of himself," the 85-year-old scientist said. More than a half-century after Watson won a share of the 1962 Nobel Prize for physiology or medicine, alongside Francis Crick and Maurice Wilkins, his critics still complain that the credit for their DNA discovery should go instead to the late researcher Rosalind Franklin. Watson stirred the pot even more by speculating in an interview that Franklin was "partially autistic." Wikipedia's entry for Watson has a whole subcategory devoted to the provocative statements he's made over the years. His comments on autism may produce another entry for that subcategory: "You can imagine a scenario where you make the decision, you're going to be a mother at 45. And then you get an autistic child. Should you blame yourself? I say, yes." The idea of "blaming" mothers and fathers for having autistic children doesn't sit well with contemporary commentators, but if you look beyond the blame game, there's growing experimental support for the idea that genetic factors play a role in mental conditions. One recent study suggested that different mental disorders may have common genetic roots. Other studies have seen linkages between the age of a father and the risk of having children with autism or schizophrenia. Age also seems to have an impact on a woman's chances of having an autistic child. Watson cites a number of studies conducted at Cold Spring Harbor Laboratory that suggest hundreds of genes influence autism susceptibility. Watson told the Seattle audience it could take "at least 10 more years" to untangle the genetic roots of brain disorders. Future studies could point to the neurological mechanisms that underlie those disorders, and to novel treatments: Watson already sees some hope in new strategies to ease the gloom of depression, such as deep-brain stimulation or the "brain-resetting" drug known as ketamine. "I think we'll probably be able to do something with schizophrenia," Watson said. But when? Will the next 60 years bring a neuroscience revolution as far-reaching as the DNA revolution that was sparked by Watson and Crick 60 years ago? When asked about that, Watson refuses to bring out the crystal ball. "Neither Francis nor I were ever thinking ahead five years. ... Science is moving so fast," he said. Update for 8 p.m. ET Sept. 27: I've tried to take care when referring to autism as opposed to mental illness, but it's easy for that distinction to be lost amid Watson's quotes. Autism and "autistic spectrum disorder" are general terms for a group of complex disorders of brain development, as detailed by AutismSpeaks.org. Such disorders are generally not regarded as types of mental illness.